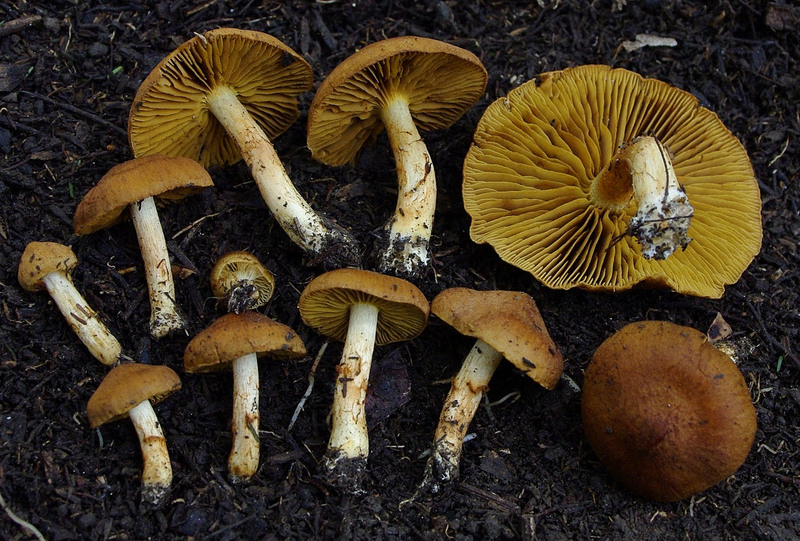 And now for some common non-active mushrooms (a non-active being any mushroom that does not contain psilocybin), it is useful to know how these look as well in order to diminish your chances of picking them. 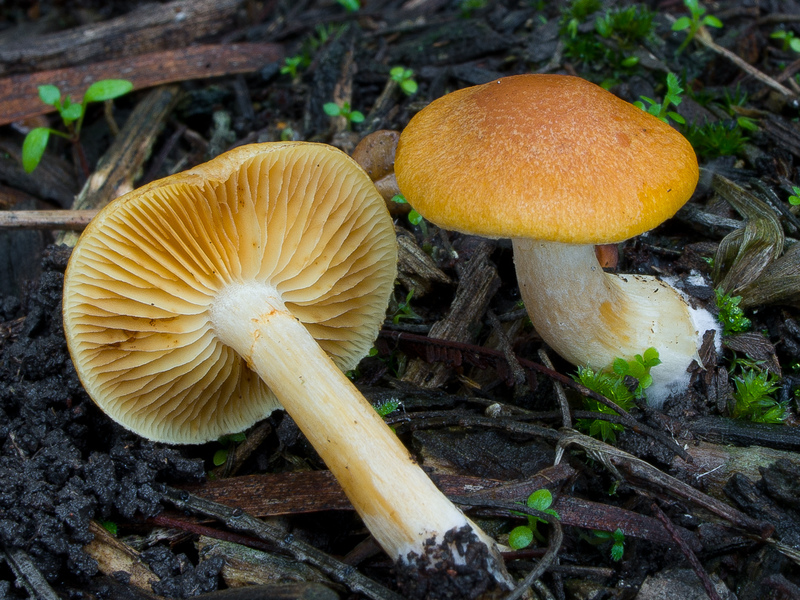 NOTE: take extra care to not pick any Gallerina or Cortinarius mushrooms as they are both very poisonous. 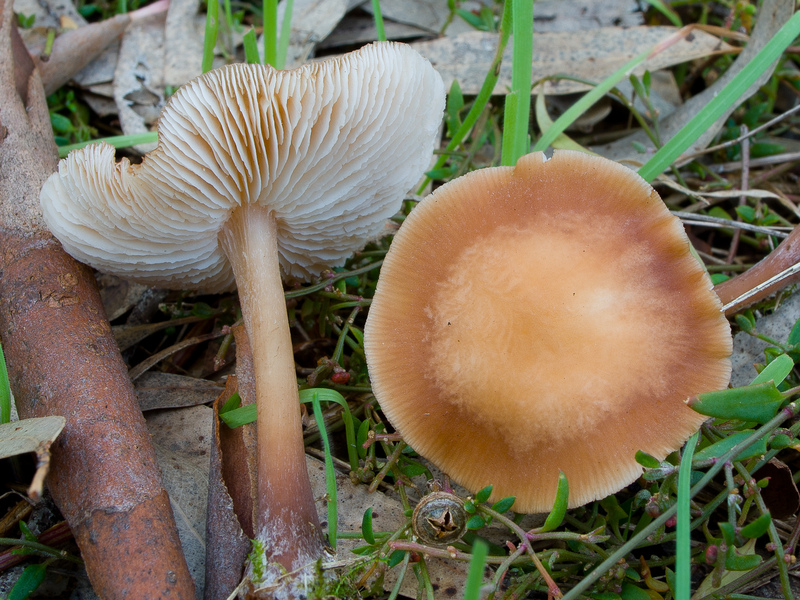 Know that these mushrooms do not bruise blue, and their spore print is a rusty brown, compared to subaeruginosa which is violet-brown. 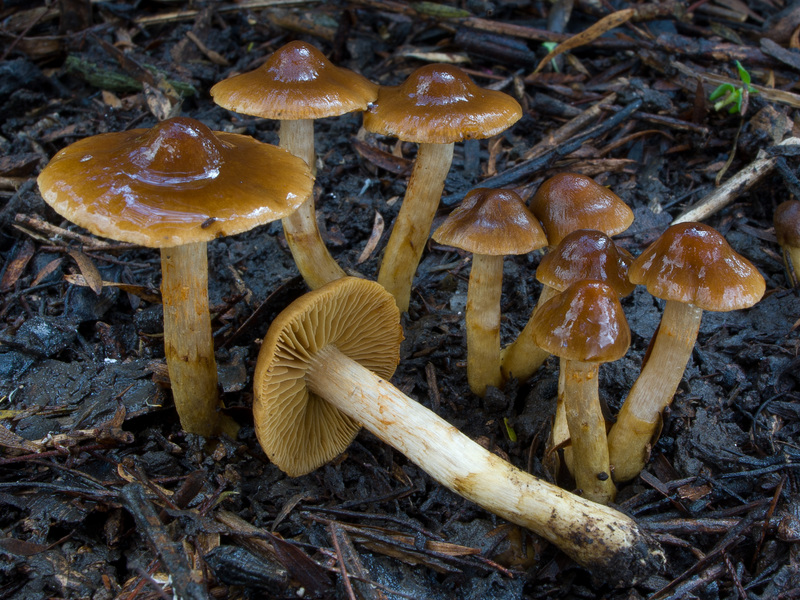 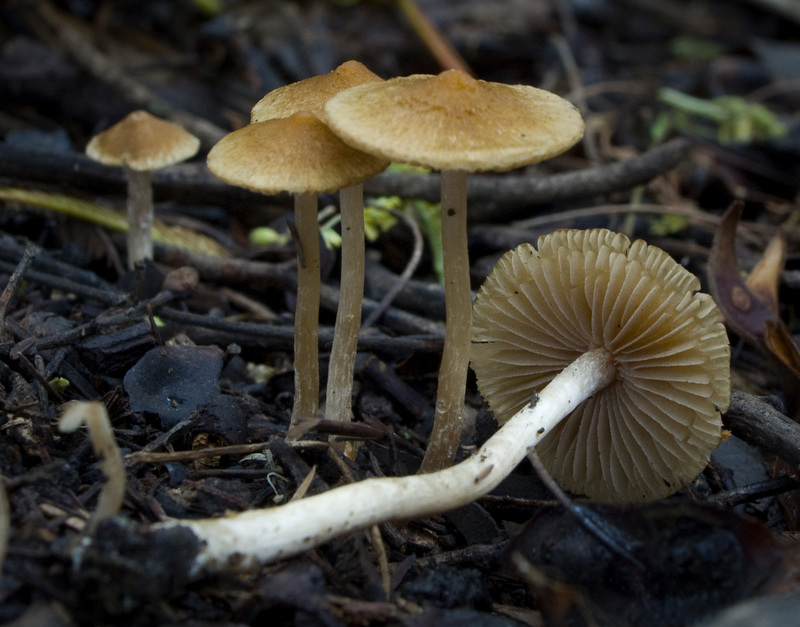 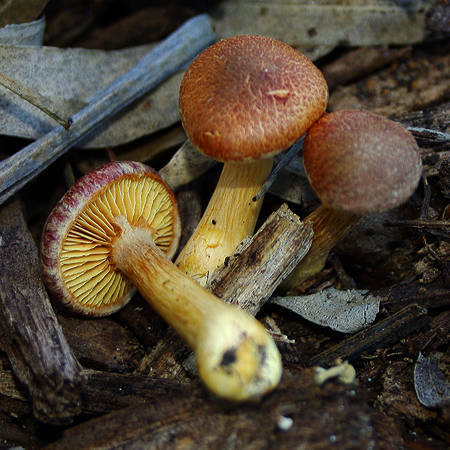 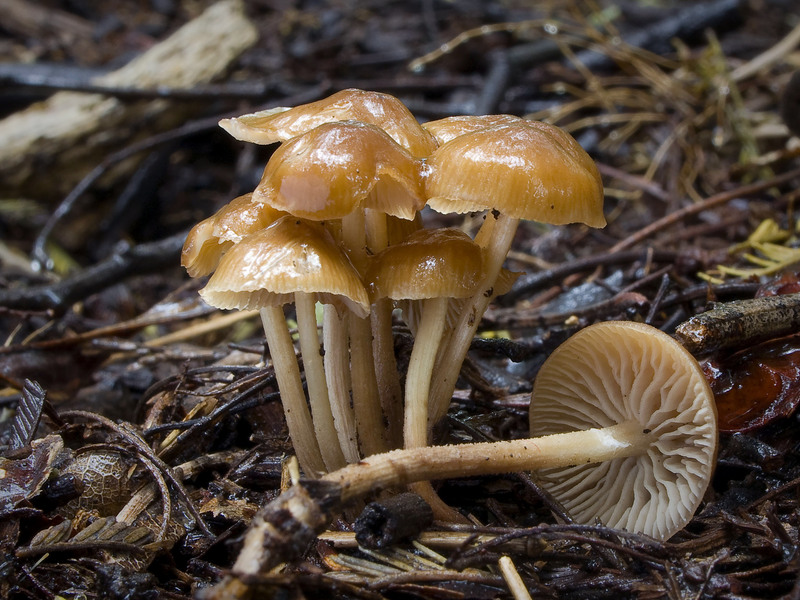 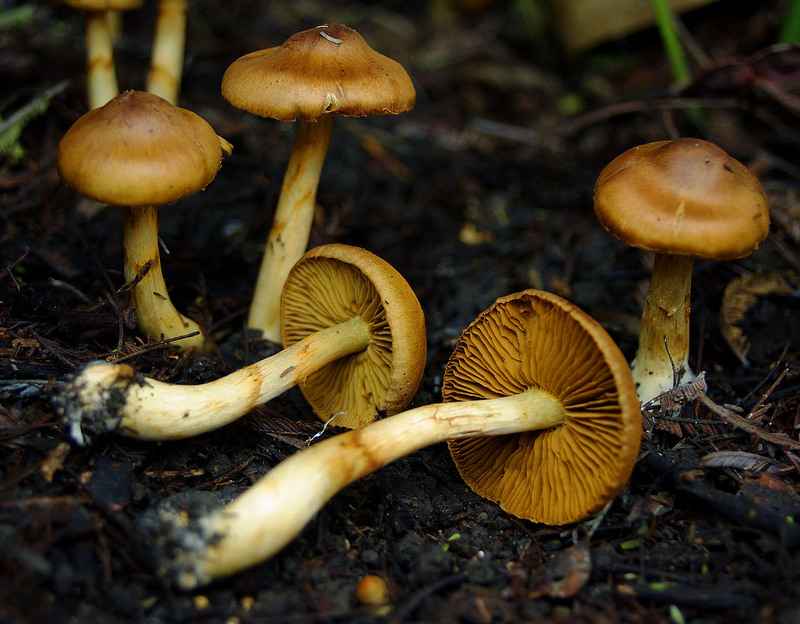 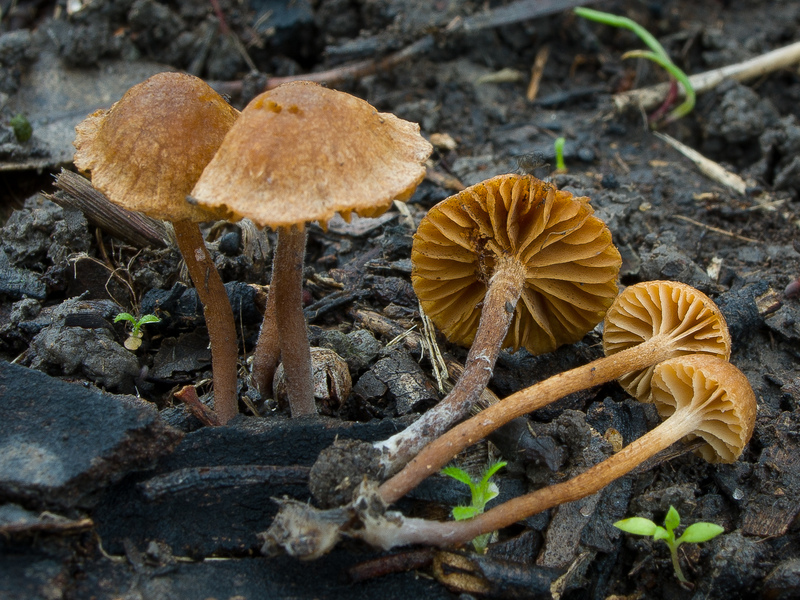 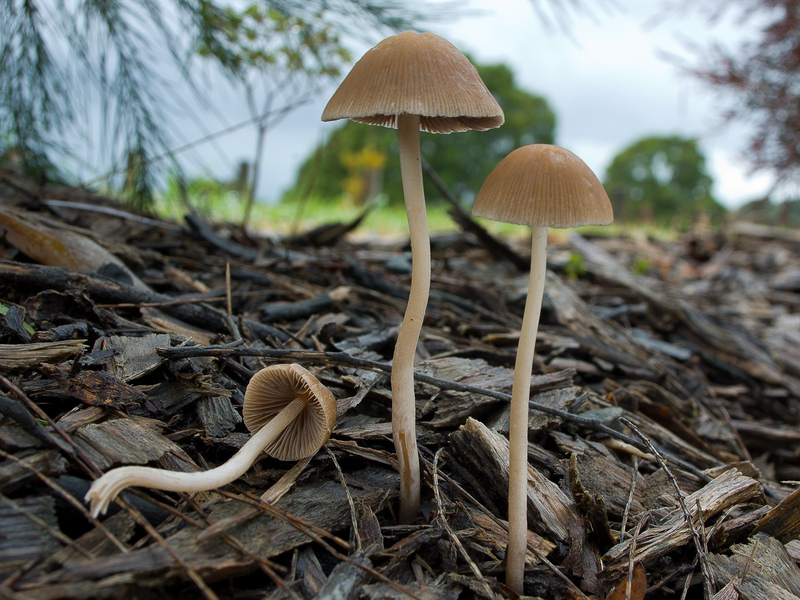 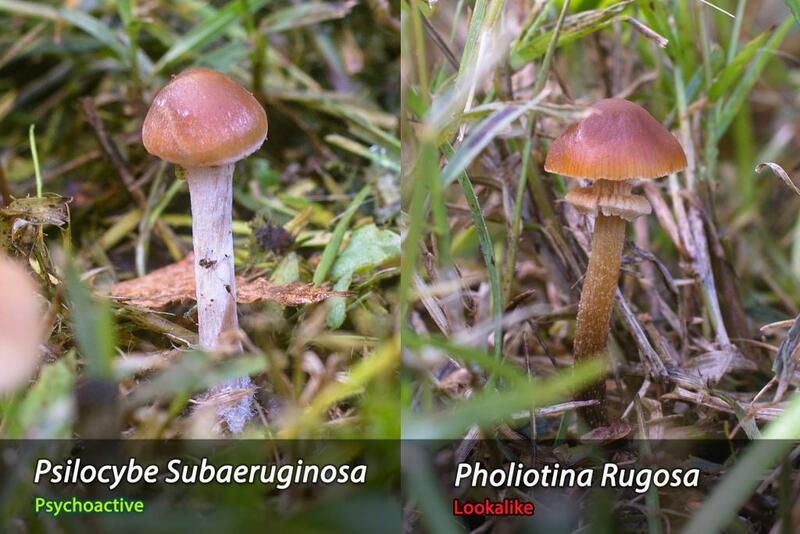 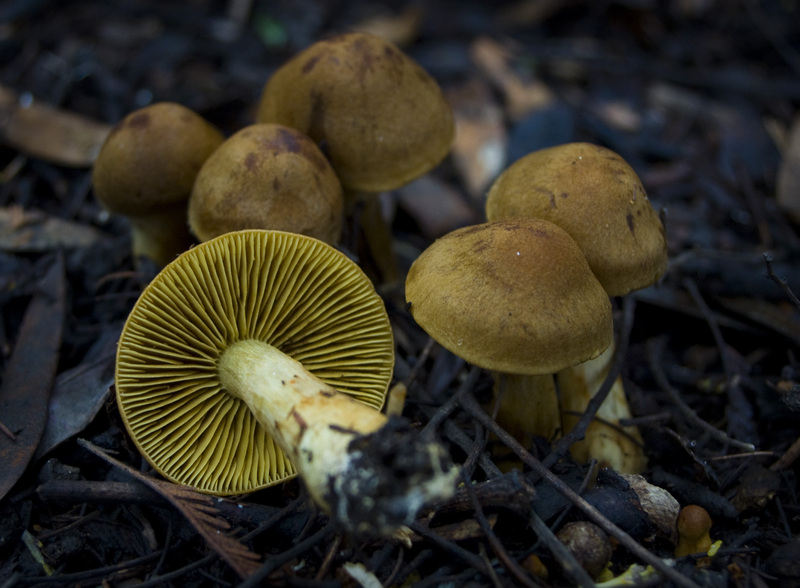 A comparison picture of a Psilocybe subaeruginosa and the poisonous Pholiotina rugosa, courtesy of ‘crix’ from the shroomery. 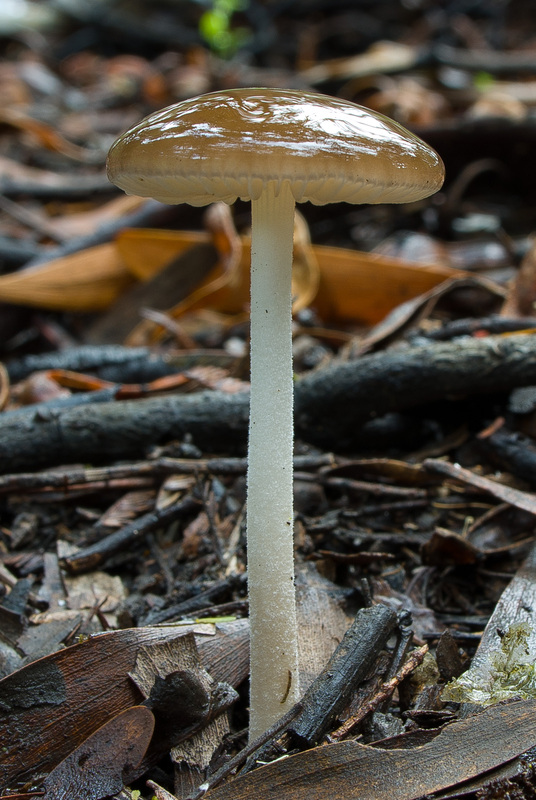 Please click the picture to make it bigger. 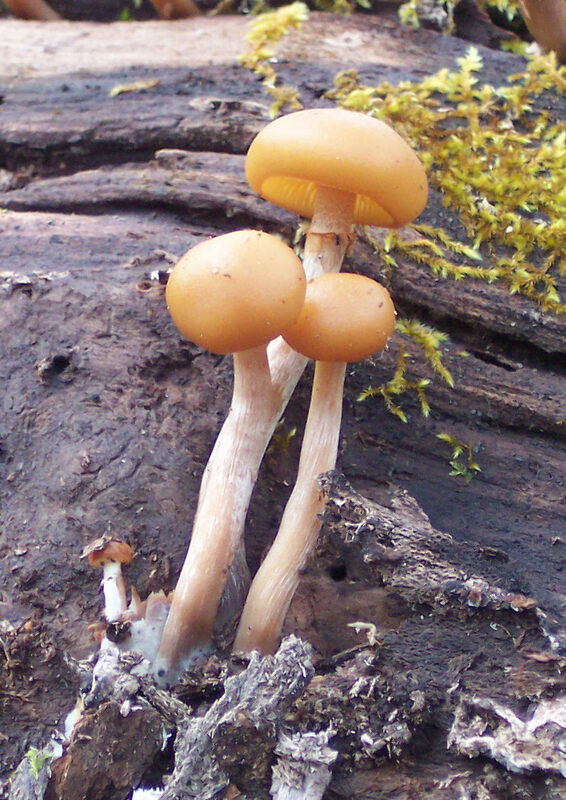 Take note that the Pholiotina has its veil still attached, while the Subaeruginosa doesn’t. 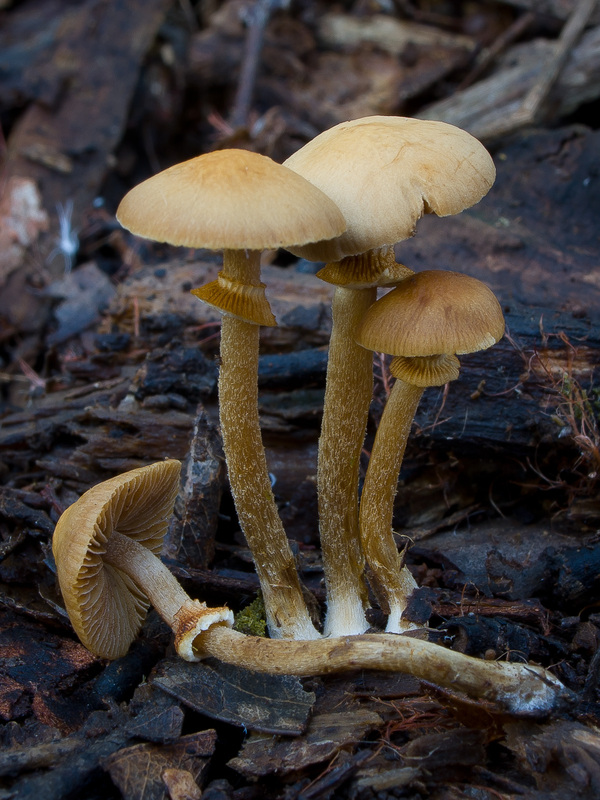 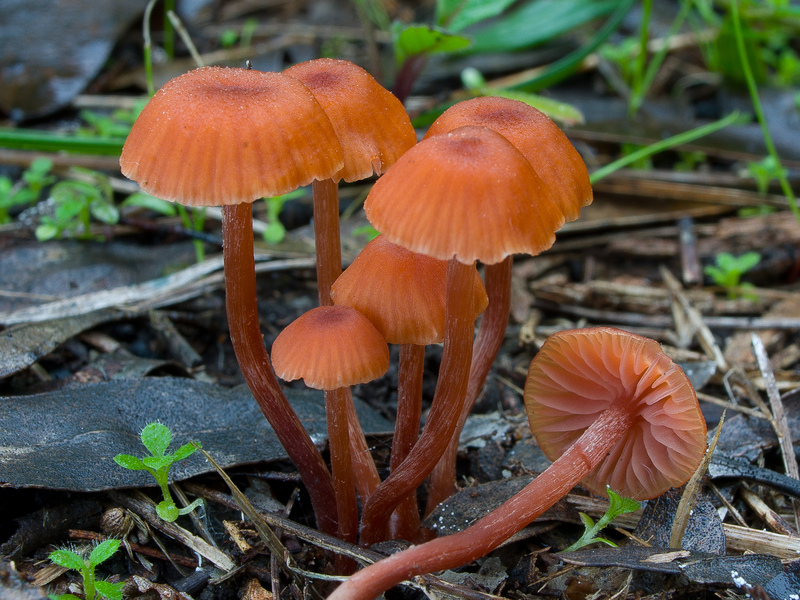 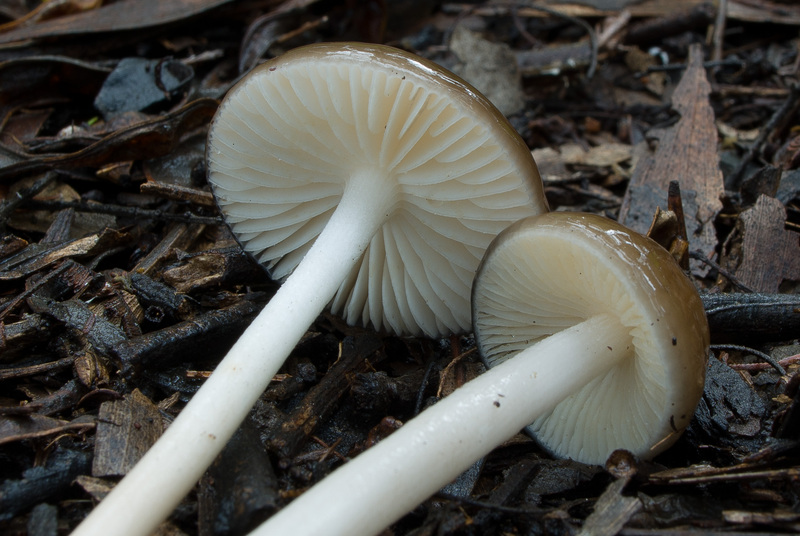 Also, more importantly, notice how the Pholiotina’s stem is not white but actually looks more like a sour coke bottle. 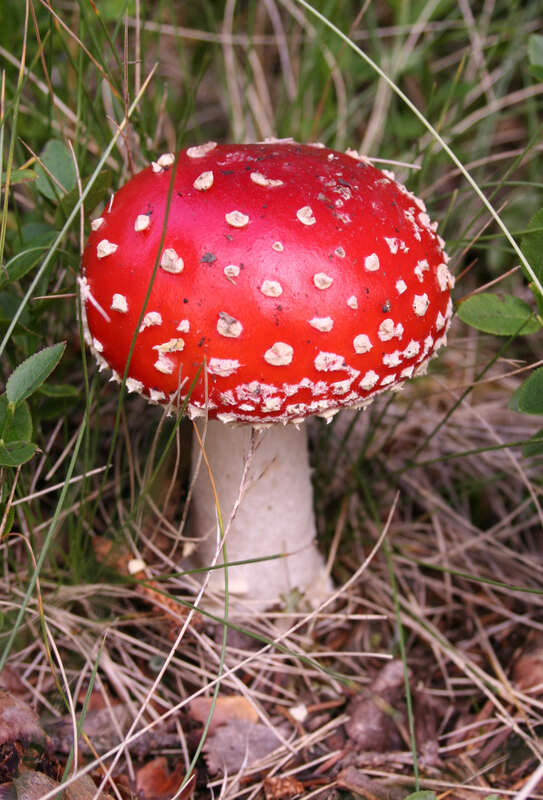 Amanita muscaria – psychedelic (a.k.a fly agaric. 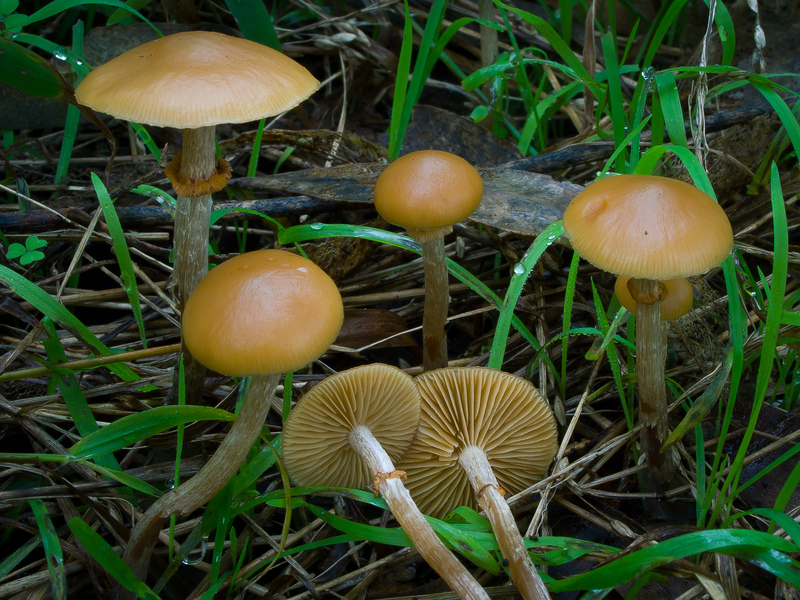 whilst psychedelic, this is considered a non-active as it doesn’t contain psilocybin. 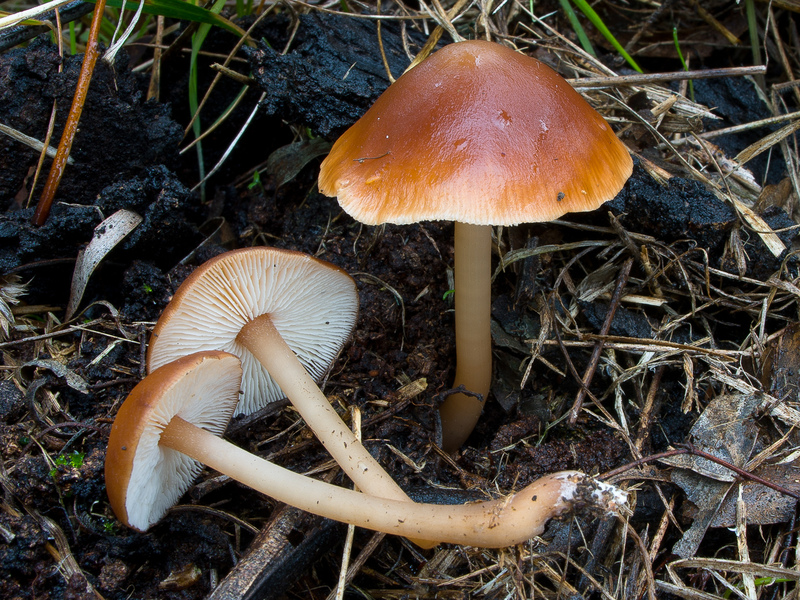 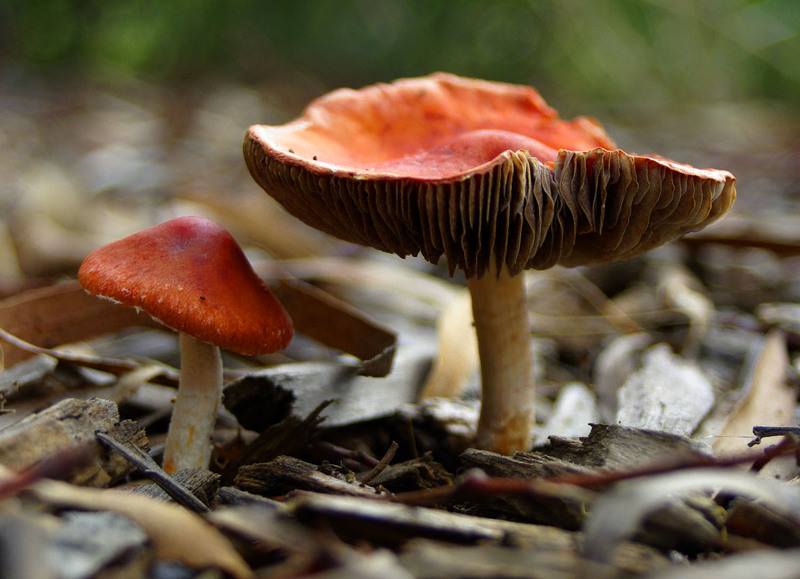 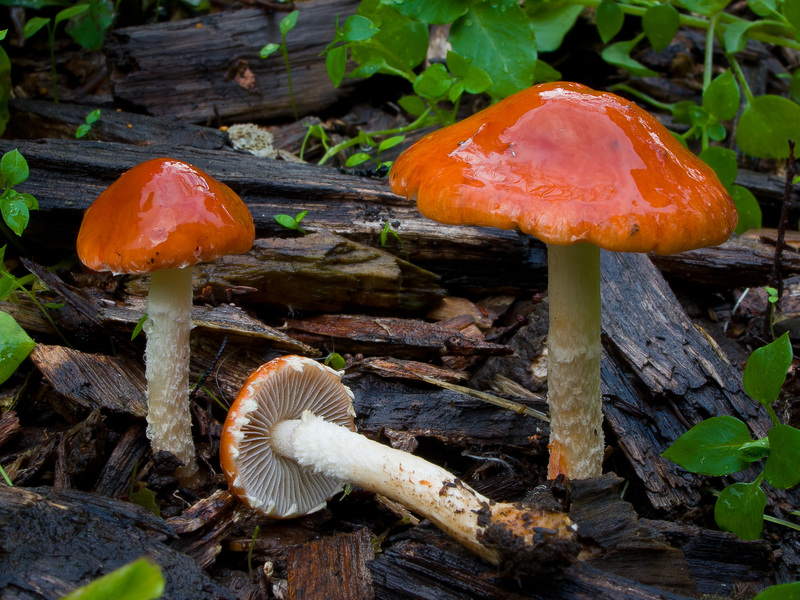 It is also the only mushroom mentioned that is both edible and inedible, depending on how it’s prepared. 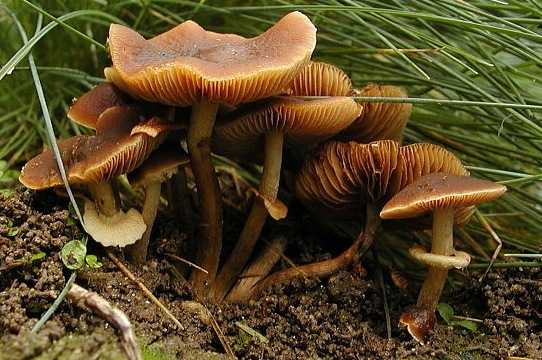 When eaten raw it is toxic because of a chemical it contains called ibotenic acid. 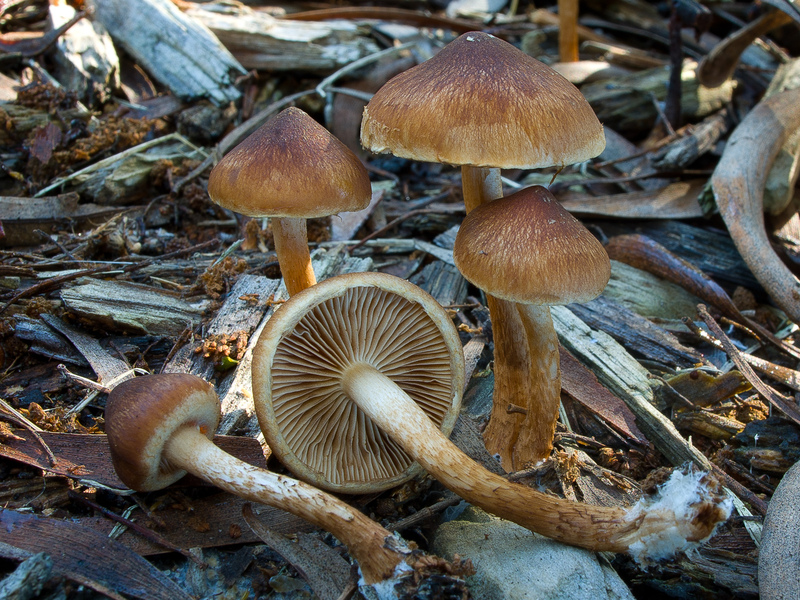 Drying the mushroom converts the ibotenic acid into muscimol (the psychedelic compound), it is important that you dry them properly though (I cover drying mushrooms in depth later on). 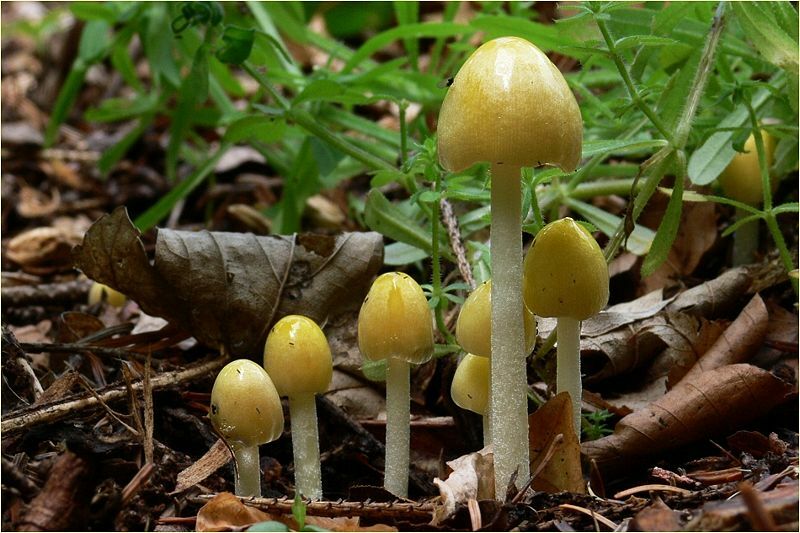 The psychedelic compound ‘muscimol’ is water soluble, so boiling it and discarding the water will make it edible, without any psychoactive effects (it is very tasty). 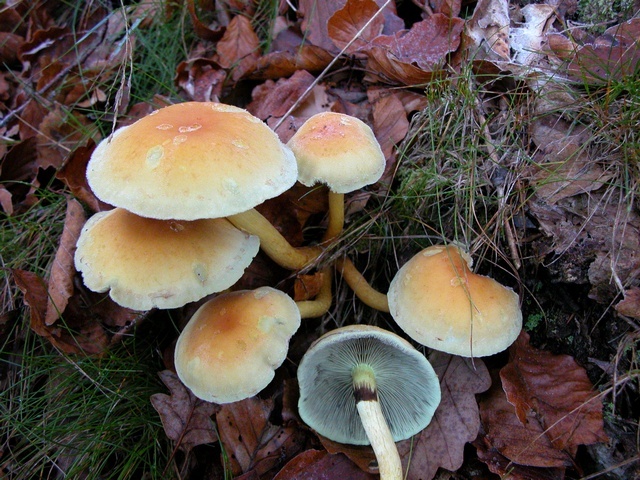 Alternatively you can boil the ‘dried’ mushroom, and then drink the water as a tea to experience its psychedelic-ness. 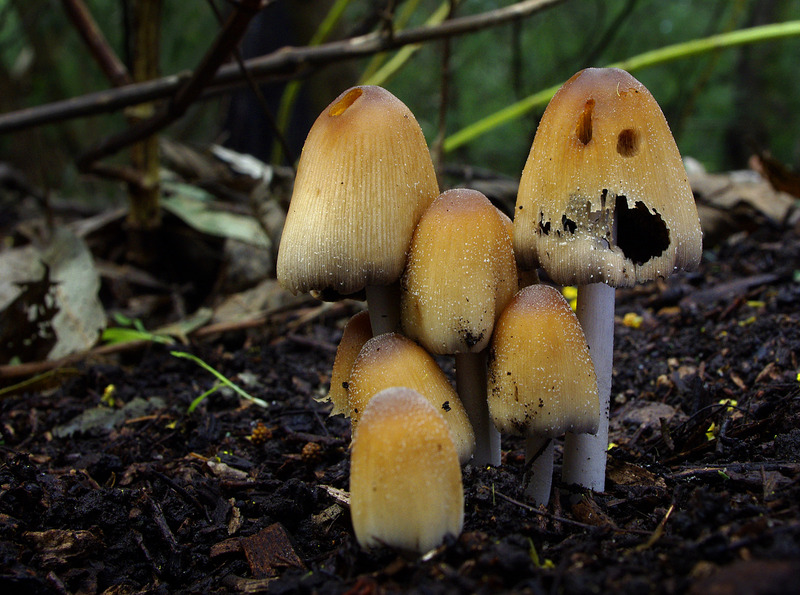 Never eat it raw. 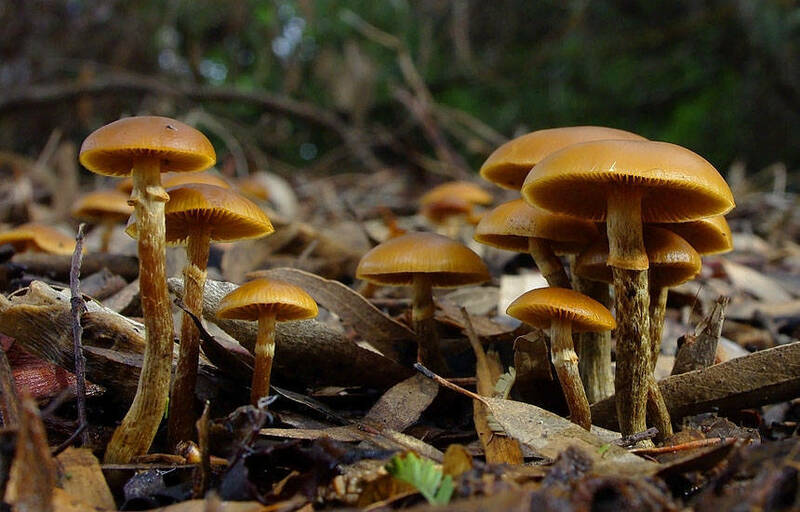 So there you have it, you should now have a good idea of what it is you’re looking for, and also (more importantly) what you’re not looking for. 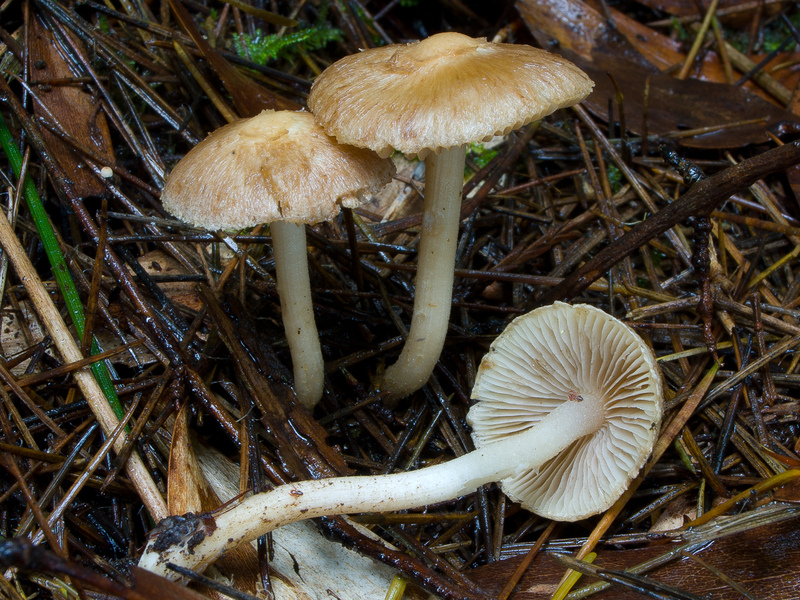 If you have any pictures of non-active/poisonous mushrooms that I haven’t covered, or even a better shot of one I have, please send them to me via email (pimpfreud@gmail.com) and I will add them to the list. 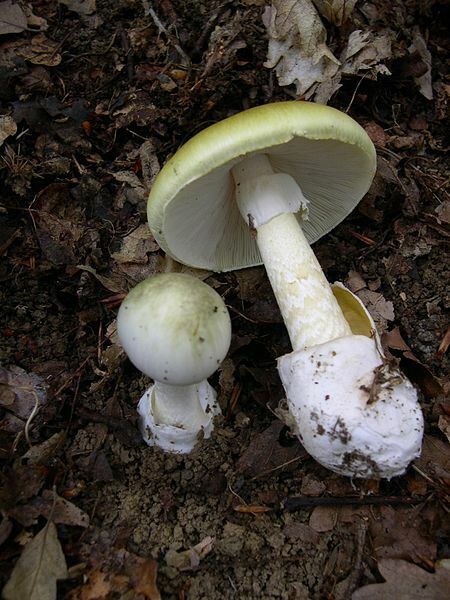 Once you have all of your mushrooms the only thing left to do is to have a bite to eat (looking for mushrooms is draining! 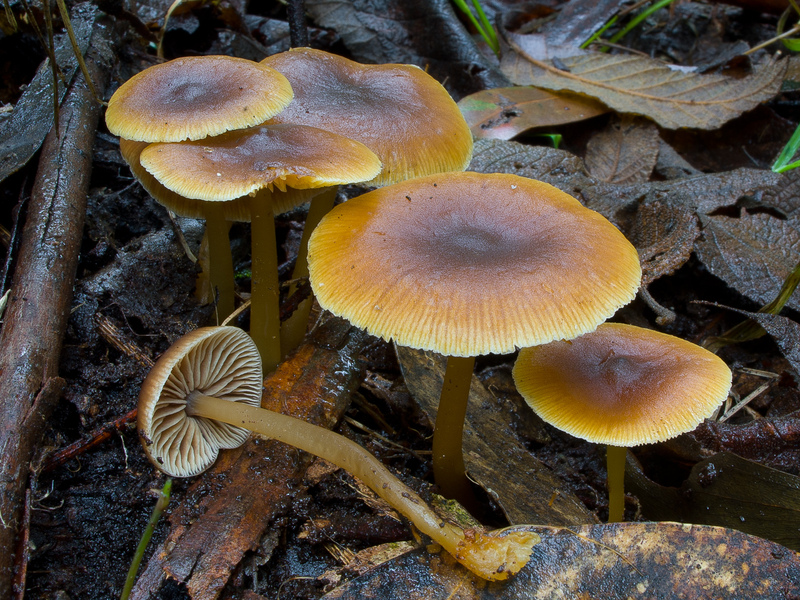 ), and head home to start the drying process. 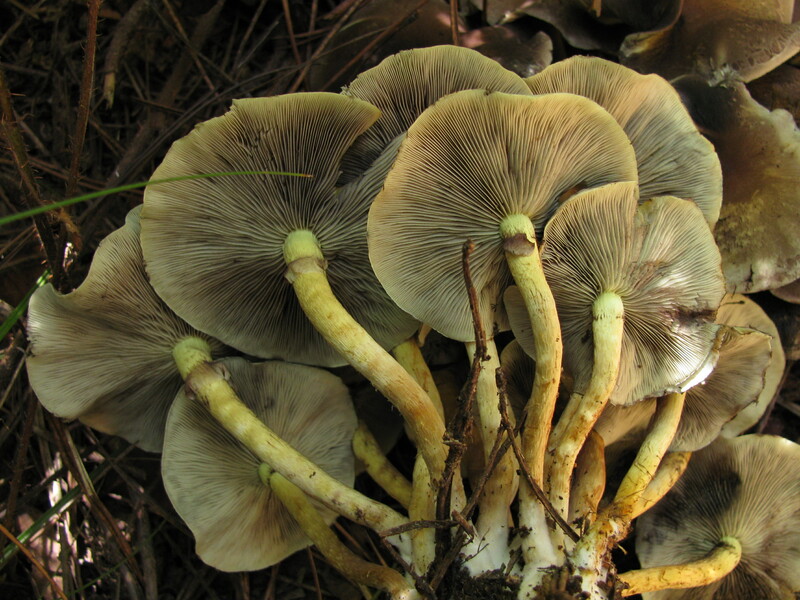 Or you can bypass the whole drying part by eating them fresh.